From the location of your assignment to the actual hours you work, locum tenens offers you a more flexible schedule. With the ability to choose where you work, you can pursue assignments close to home or take positions around the country. More important, the ability to choose your own hours is especially beneficial for clinicians with kids. With many locum tenens positions to choose from, it’s easy to set your schedule to offset your spouse’s work schedule or even take extended time off from work to care for a younger child. Finding a healthy balance between work and personal life often proves difficult for clinicians, and the inability to achieve a good work-life balance often leads to burnout. Not surprising, studies show that physicians have nearly a 20% higher job dissatisfaction rate than the rest of the US population. Once clinicians have children, trying to achieve work-life balance becomes even more critical, and locum tenens provides a way to finally find that balance. 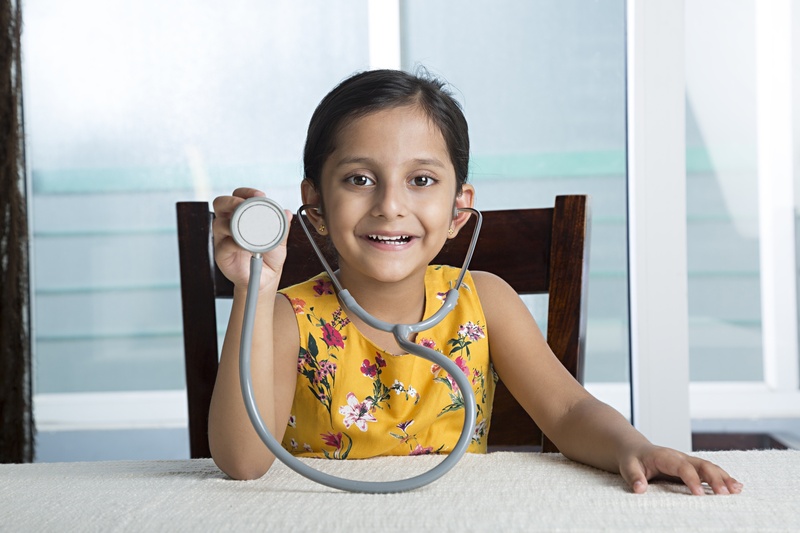 With flexible hours, fewer on-call hours, less administrative duties and the ability to take kids on assignments, a locum tenens position is an ideal option for clinicians with kids. And as we mentioned above, working locum tenens also makes it possible to find positions close to home, so you’re able to make those important family events like birthday parties, soccer games or dance recitals. For some clinicians, working locum tenens part-time can be an opportunity to earn extra income outside of their permanent role. Bringing home additional income can reduce financial stress for your family - making it possible to pay down debt and allocate more money to child-related expenses like tuition, childcare, family vacations and other forms of entertainment. Permanent positions may come with extra stress for some clinicians, and recent research shows that physician burnout continues to be a growing problem. Unfortunately, this impacts everyone, including their families. Working locum tenens, however, can give you the option to try different practice settings and help you find one that is the best fit for you. You may realize that you enjoy the feel of a smaller setting or that you thrive in a busy, fast-paced environment. Whichever you choose, finding the right position can help you alleviate stress. You'll be able to do your job well and be more attentive to your patients. More important, less stress at work is good for your family, too. You're able to be really present with your children when you're home instead of brining the stress of the job home with you. If you choose to take your family along on your assignments, locum tenens can be a great way for your kids to explore different parts of the country and expose them to cultural diversity. Some clinicians choose to take their families and use the time they aren’t working to explore their new community with the family. For example, you can visit local art and history museums, attend community festivals and events and participate in other culture-related activities. What’s more, locum tenens gives you an opportunity to create shared memories with your family as you help them see the world anew. If you’re searching for a better way to achieve that work-life balance, family-friendly locum tenens positions are an excellent way to get more time with your loved ones. From greater flexibility to reduced stress levels, it’s a perfect option for clinicians with children. Keep these benefits in mind when considering a career in locum tenens.